“We hold these truths to be self-evident, that all men are created equal, that they are endowed by their Creator with certain unalienable Rights, that among these are Life, Liberty, and the pursuit of Happiness.” (United States Congress, The Declaration of Independence: A Transcription). There is no mention of women in the declaration and the United States as a country took a while to adopt these positions for all individuals. Not until 1920 did women achieve the right to vote legally (United States Congress, The Constitution: The 19th Amendment). “Trifles” by Susan Glaspell, is based in 1916 and is a one act play, which includes elements of what the women’s suffrage movement was all about. 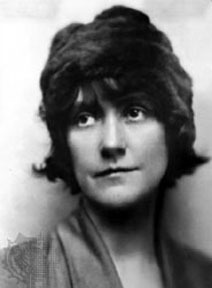 Upon graduating from Iowa’s Drake University in 1899, Glaspell kicked off her writing career of writing short stories and novels (Ozieblo). The play from Glaspell tells the story of a murder mystery involving the married couple of Mrs. Wright and her husband, the murder victim, John Wright; this story also incorporates the mood of society at the time towards women, their social status viewed as beneath that of a male. “Trifles” shows the discriminatory mentality commonly accepted among men towards women in 1916, as well as showcasing the significant role comradery plays for women in equaling out playing field for their selves; portrayed through the plays expositions, dialogue, theme, character, and symbolization. The characters of the play consist of Mrs. Wright, John Wright, county attorney George Henderson, Henry Peters the sheriff, neighboring farmer and witness Lewis Hale. This leaves the two main protagonists in the story of Mrs. Peters and Mrs. Hale, the respective wives of Henry Peters and Lewis Hale. The murder mystery takes place in the empty farmhouse of John Wright. The men take charge of the investigation and leave the women to pick up a few items for Mrs. Wright’s convenience. From the start of the murder mystery come early expositions into the perspectives of the males less than equal attitudes towards women. During a routine investigation Mr. Hale` is explaining his encounter to the county attorney and his reasoning for visiting John, mainly being an attempt to convince John, for the second time, to buy a telephone. Also believing his chances would increase for a more desirable answer, he hoped for Johns wife to be present, saying, ” . . . though I said to Harry that I didn’t know as what his wife wanted made much difference to John” (Glaspell 2). This comment throws a hint to the audience about John’s attitude toward his wife, as if John was the type of husband who neglected considering Mrs. Wrights wishes. The County Attorney tells Mr. Hale, “. . . I do not want to talk about that” (Glaspell 2) brushing off the subtle clue promptly. The first note taken by the county attorney was only incriminating to Mrs. Wright, noting a scared look on the face of Mrs. Wright according to further testimony by Mr. Hale who continued to highlight, “. . . maybe it wasn’t scared” (Glaspell 3). The County Attorney does not care how John may have treated his wife, instead targeting Mr. Hale’s statement regarding the alleged “scared” look on Mr. Wrights face. Limited consideration is also taken for women during this time when spoken to by a man. The men’s bias is often and openly expressed to the women verbally. According to the dialogue of the play, the men show they do not deem what the women say important or relevant. Mrs. Peters says one comment on how Mrs. Wright worried about her fruit freezing, which it indeed had due to being left out. With haste, the Sheriff fires back, speaking to his male partners, “Well, can you beat women! Held for murder and worryin’ about her preserves” (Glaspell 3). The men agree in general about the Sheriffs comment, “Well, women are used to worrying over trifles” (Glaspell 3) , says Mr. Hale. The dialogue of the play shows the ignorance and general lack of respect given to women’s comments. Even the Sheriff speaks to his wife openly as if a women’s role in the home was meaningless. For the first words spoken out of the mouth from his wife, the harassment appears irrational for just making conversation. The prejudice from the men is obvious and once a reader or audience starts asking questions about how the men treat the women, a trend is noticed regarding the men’s principles. Undoubtedly the common theme in this play from the men’s side is a lack of support the golden rule. The golden rule is commonly understood to mean “One should treat others as one would like others to treat oneself” (Wikipedia Contributors). The County Attorney kicks his foot against the pans underneath the sink after finding no clean towels, telling the women “Not much of a housekeeper, would you say ladies?” (Glaspell 4). What kind of person kicks another individuals cookware for reasons like so? At a time where a kitchen was a place dominated by the women as the homemaker, this shows the lack of respect given to the women’s main domain. An audience or reader may wonder if Mrs. Wright was present, whether the Sheriff would choose the same decision to kick his foot against the pots. Similar to the men, the women are more uniform in ideals, but do not display the type of discriminatory bias the men have. As Mrs. Peters and Mrs. Hale gather belongings for Mrs. Wright, oppression is symbolized in a unique way via a dead canary bird with a rope around its neck. Mrs. Hale finds the dead bird in a box of Mrs. Wrights and tells Mrs. Peters “She used to sing. He killed that too” (Glaspell 9) explaining the type of marriage Mrs. Wright had. The bird with a rope around its neck communicates with the audience or reader the life Mrs. Wright lived after marriage with her husband. Mrs. Wright was a free woman and then restricted and isolated from the things she loved. Long gone were the days when Mrs. Wright “. . . stood up there in choir and sang” (Glaspell 10). Singing was shut out from her life and the rope around John Wright’s neck restricted his life in the same way. Compassion is shown by both Mrs. Peters and Mrs. Hale in defense of Mrs. Wright. Both women have a comradery that determines the outcome of Mrs. Wright’s fate in a much larger way than the men, by humbling themselves to their fellow woman and outsmarting the men. Mrs. Hale ultimately takes the dead bird in her pocket in order to keep it hidden from the men and to protect Mrs. Wright. “We don’t know who killed that bird” (Glaspell 10) said Mrs. Peters, although an audience or reader of the play would be able to assume some sort of association with the rope around the neck of John Wright and the dead bird. Both women know something about this bird connects with the case and would be very valuable to the murder investigation, yet they are humble towards Mrs. Wright and her life. Mrs. Peters and Mrs. Hale help to disprove, “. . . a motive; something to show anger, or – sudden feeling.” (Glaspell 6), which are the keys to the case according to the Sheriff. Eliminating the bird with a rope around its neck takes care of a solid piece of evidence, which would certainly be used against Mrs. Wright. From fruit preserves to nearly solving a murder case, the women do not give the men a clue as to what they have discovered from their time in the Wright residence. This play incorporates the mood of society at the time towards women, their social status viewed as beneath that of a male; while showing just how prominent a role comradery effects situations for women like Mrs. Hale and Mrs. Peters. 1916 was a time near the peak of women’s suffrage as women all over the nation had begun to stand up against the prejudice and discriminatory ways of their male counterparts. The women and not the men gather the clues to the murder mystery, while additionally changing the odds in favor of Mrs. Wright’s innocence, showcasing the importance and significance of comradery during the 1900s between every day women. The women challenge the status quo of male dominance reigning supreme for everything. Bringing the story into terms for today, one may still see women outsmarting the men in some areas like organization. The United States has been a nation that has experienced groups of people willing to fight hard enough for their freedoms no matter what the cost. Mrs. Peters and Mrs. Hale help the audience visualize some of the fight and what is takes to win back your own liberty. Ozieblo, Barbara. “About Susan Glaspell.” 2010. International Susan Glaspell Society. Web. 25 February 2012. United States Congress. “The Constitution: The 19th Amendment.” 18 August 1920. National Archive and Records Administration. Web. 25 February 2012. —. “The Declaration of Independence: A Transcription.” 4 July 1776. National Archives and Records Administration. Web. 25 February 2012. Wikipedia Contributors. The Golden Rule. Vers. 477898481. 20 February 2012. Web. 23 February 2012.